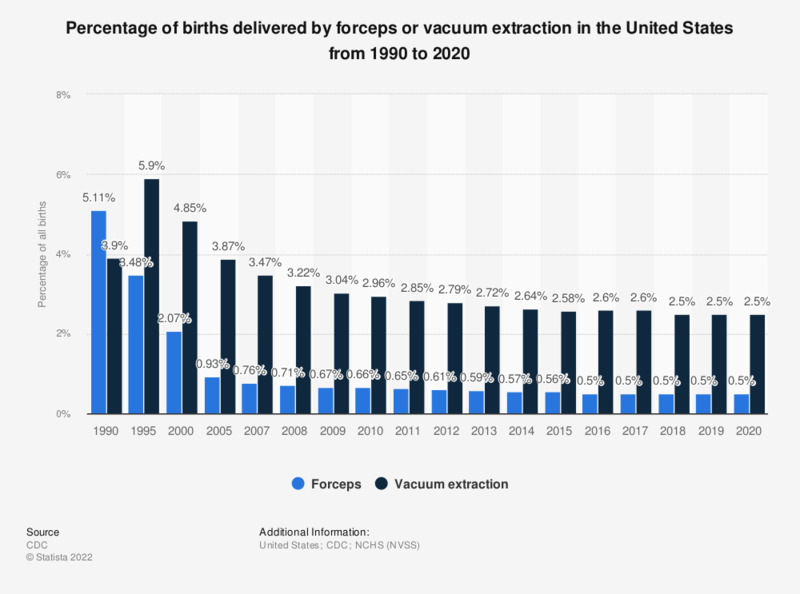 This statistic depicts the percentage of births that were delivered using forceps or vacuum extraction in the United States from 1990 to 2017. In 1990, over five percent of all births in the United States were delivered by forceps. As of 2017 the percentage of births delivered by foreceps decreased to 0.5 percent. Everything On "Births in the U.S." in One Document: Edited and Divided into Handy Chapters. Including Detailed References. Statistics on "Births in the U.S."
Health insurance coverage for women in the U.S.